We’ve all watched monster truck races and demolition derbies at some point in our lives, and most of us have wanted to participate in them. However, the reality of the situation is – participating in such races and derbies is not a very wise idea, and probably won’t happen for the majority of people. With that said, the next best thing is to get a scaled down version of a monster truck to drive around and have fun with. RC monster trucks have become extremely popular as of late, and they provide you with hours of dirt grinding, car crunching fun. If you’re new to the RC car monster truck world, then there are a few things you need to consider before you buy your first model. 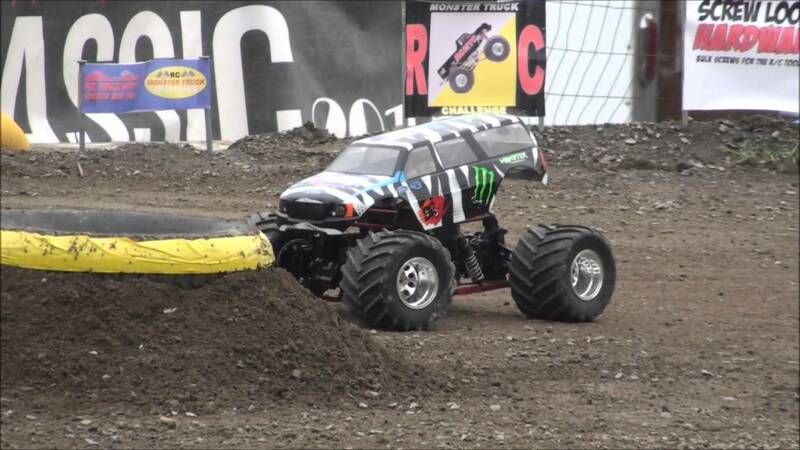 When buying an RC car monster truck, the first thing you need to consider is whether you want one that operates on an electric or a nitro motor. Electric motors are the more beginner-friendly option and they are divided into two subcategories – brushed and brushless motors. Brushless motors are the superior option, but as a result, they’re also the more expensive one. Nitro motors, on the other hand, are for more advanced hobbyists, as they’re more difficult to maintain. The battery plays a crucial role in how much and how long you’ll be able to enjoy driving around with your RC monster truck. Typically, you can choose between LiPo and NiMH batteries. Depending on the type of batteries your vehicle can accept, your choice will vary. However, it’s recommended that you get a battery that’s at least 2000mAH+. Also, get a charger and an extra pack of batteries just in case. While this is mostly up to personal preference, most 2WD monster trucks are designed for beginners as they’re easier to handle and are cheaper. 4WD monster trucks, on the other hand, are more complex, rapid and more expensive. However, they also provide better control, which an experienced hobbyist can take advantage of. Some of the biggest brands in the RC world are Traxxas, Exceed, ARRMA, HPI, Tamiya, HPI, and HSP. All of them produce quality and durable RC vehicles, but as you can probably guess – they’re also pricier. However, in the RC world, it’s better to get something that’s going to last you more and is going to perform better, so it’s definitely worth considering getting a decent quality vehicle in order to get the most enjoyable experience out of it.